The country was named as the best destination in the world for your vacations. There is more than one reason to explain it, get to know some of them here. The beautiful country of Costa Rica is a top destination recommended for vacations. Global Market Research was the international company responsible for carrying out the Global Tourism Monitor Survey. According to the survey, Costa Rica offers the best experience for an incredible vacation and it is known as a highly recommended destination for family vacations. 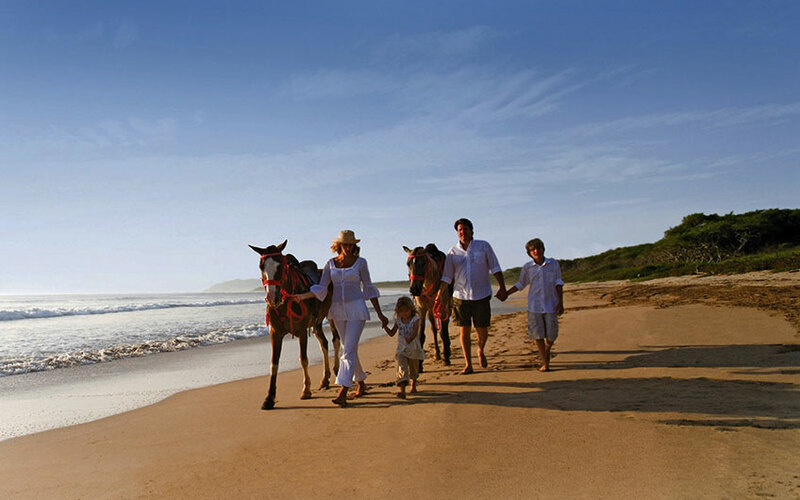 If you plan some Costa Rica family vacations, I can ensure you that you will not regret it! You can visit amazing pristine beaches, rivers, mountains, volcanoes, tropical jungle, rain forest and all its flora and fauna… It will charm you with its magic! The Global Tourism Monitor Survey report qualified 65 countries and Costa Rica took the first place followed by Austria, Israel, New Zealand, Italy, Japan, Croatia, USA, Norway and a tie in the tenth place Canada, Greece and United Kingdom. No other country from the Latin America region, where Costa Rica is located, made the cut of the first ten. The report was conducted at 23 thousand tourists who had to mention which places they had visited during the last 12 months (this report was published in June of 2014) and based on their travel experiences the Global Tourism Monitor Survey came out with the ranking. Costa Rica is an ideal place for any type of vacation! You can travel with your family, friends, alone, or in a romantic escape, for an special occasion like your dreamed honeymoon or just to celebrate love. Almost everything that you imagine can be done in this amazing country… it is also perfect for a destination wedding. Most tourists that had visited Costa Rica decide to choose a “Little bit of everything” Costa Rica vacation package, which includes, as its tittle says, a little bit of everything. You can visit the best beaches (Jaco, Manuel Antonio Beach and Hermosa Beach, Guanacaste), volcanoes (Poás Volcano, Arenal Volcano and Irazú Volcano), fauna and flora, hotels (boutique lodges, all-inclusive resorts, luxury hotels), restaurants to try the local Costa Rican food, take the greatest natural tours (like whale watching, some adventurous canopy tours, rafting and a lot more others) and get to know everything you need to know about the Costa Rican “Pura Vida” culture. Literally, it means Pure Life in English, but it is a phrase that is rooted to the Costa Rican culture and its idiosyncrasy. This is the way Costa Ricans live, being happy, kind, modest and cheerful people. Pura Vida is used as a greeting or to say that everything is ok. The ambiance that you can find in this Central American country is very warm and welcoming. That is a reason why, we are world known as one of the happiest countries in Latin America. Why you should consider to travel to Costa Rica? 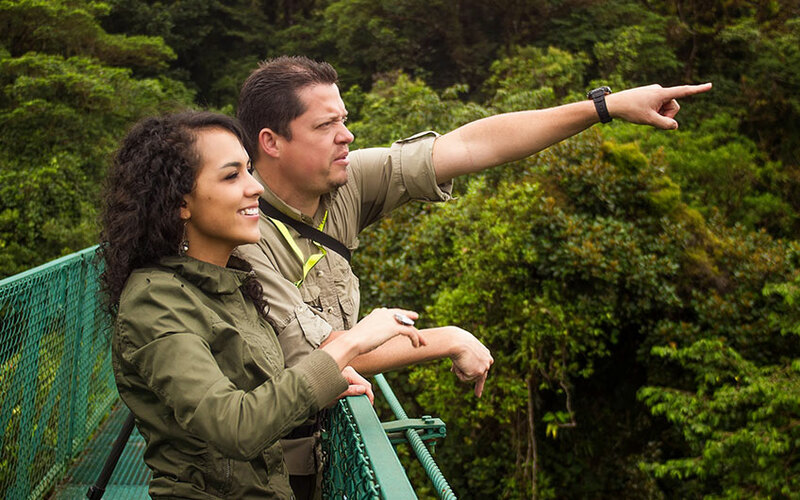 As we are inviting you to come and experience our country, we want to explain some of the reasons why Costa Rica is your next destination for your vacation with family, friends, honeymoon or as solo travelers. The beach will be a perfect end for your trip before you return to the capital city of San José Costa Rica to take your flight back home. 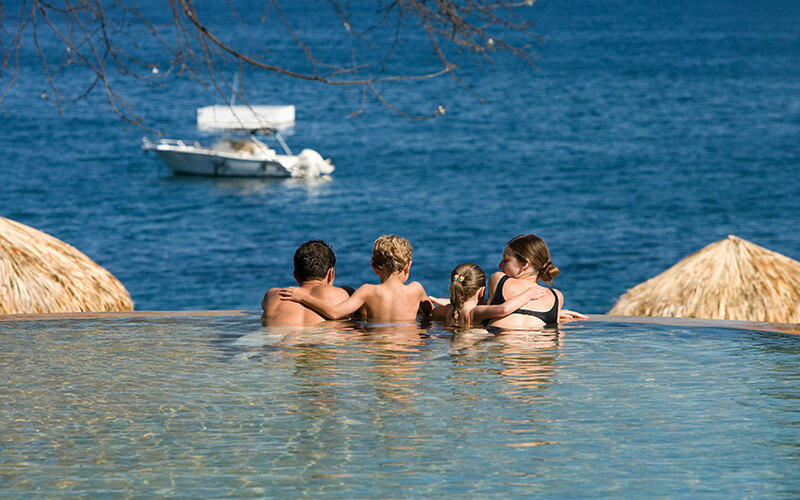 When you are travelling, you should visit some of our best family resorts in Costa Rica, which also adjust for solo travelers, couples or friends. We have beautiful beaches in the North Pacific, there is the driest weather, a place where you can easily take sun. On the other side, if you enjoy less touristy beaches, you should visit the South Caribbean side or the South Pacific, where a lot of vegetation is surrounding the areas. Also we have the Central Pacific, where Manuel Antonio National Park is located, there are small secluded beaches, some white sand and some other dark sand. The most important thing is that here we have options for all tastes. 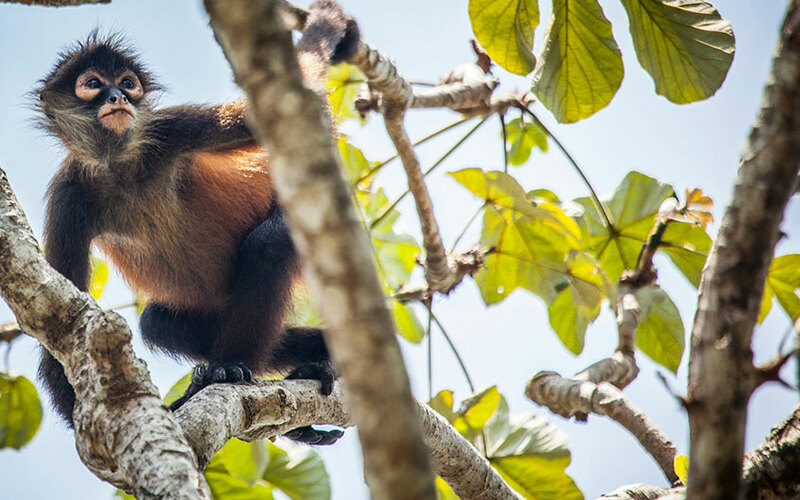 If you are thinking about where to stay in Costa Rica with family, friends or independently, you can consider nature and wildlife. We have the 4% of the world biodiversity, it means that a lot of birds, mammals, reptiles, insects and marine life can be seen in our protected areas. Costa Rica has an interesting volcanic formation, it gives you the opportunity to explore and experience these amazing places. 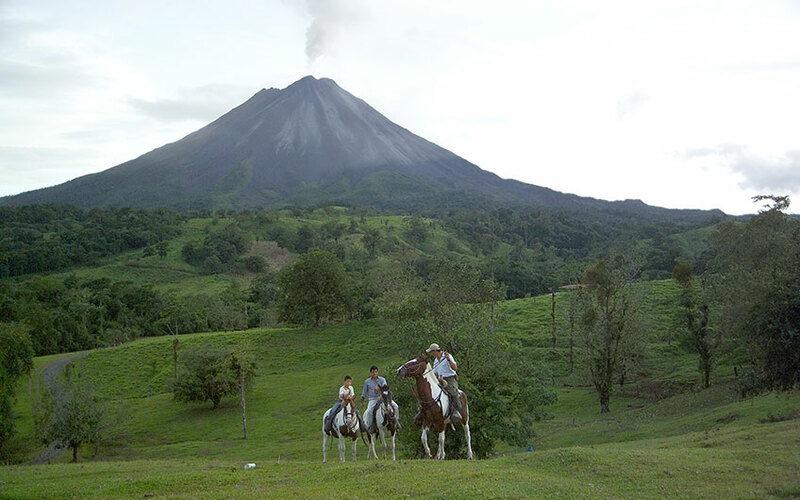 In the Central Valley you could visit two of our best volcanoes: Poás and Irazú but in the North Region, we have the only conical shaped volcano which is the famous Arenal volcano, and in the North Pacific we have Miravalles, Rincón de la Vieja and Tenorio volcanoes, each one has specific characteristics, different from the others. 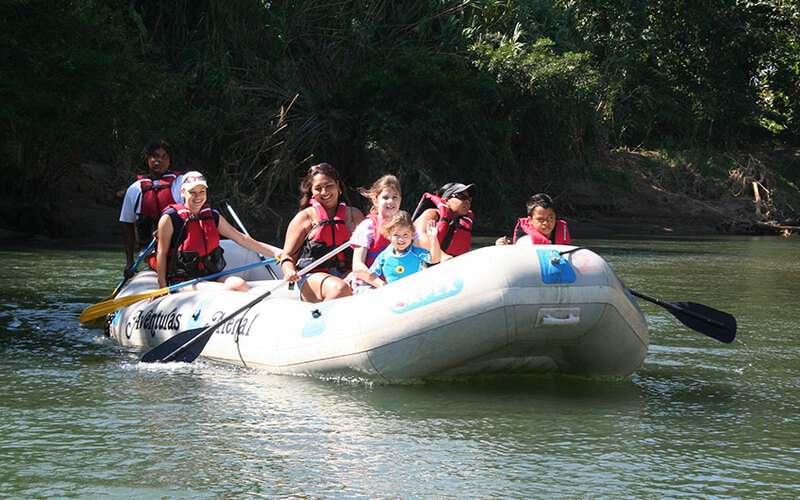 Rivers in our country are used for different activities, for example rafting, kayaking, floating, or tubbing which make them also a nice attraction for some Costa Rica tours. Would you like to take a dinner on the river banks or take a time to meditate and relax listening a river passing? 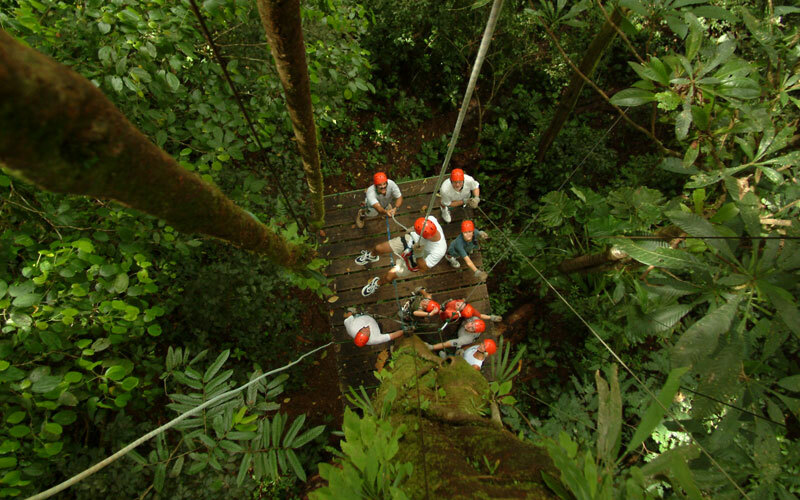 Costa Rica family adventure vacations can be full of activities. If you are travelling alone, we can offer you shared activities too, so you will get better rates. Nature walks or horseback ridings are ideal for those who enjoy soft adventure. Rafting, kayaking, canyoning, and stand up paddle are some options for more adventurous travelers, and we are also able to offer yoga and wellness for those that need to escape from the busy world. Costa Rica all inclusive family resorts are very common for friends or families, it offers the facility of having everything in the property. North area is where you can find most of our big resorts, but if you are looking for some small, charming, boutique properties, we are the right destination. Our team is waiting to help you, please leave us a comment or contact us for more details about your Costa Rica vacation, it will be our pleasure to assist you.